Prenuptial agreements (prenups) are becoming more and more common, setting clear expectations right from the start of married life. What if you forget to sign a prenup in advance?? Is there a possibility to sign such a document after getting married? Such legal documents exist and they’re called postnuptial agreements (postnups). The following guide will give you more information about postnups and their legality in Arizona. As the name suggests, a postnuptial agreement is signed after two people get married. It can be used to accomplish multiple things – to separate the income of the two partners, to set other financial boundaries and to designate certain assets acquired before the marriage as separate property. Postnuptial agreements are legal in Arizona but to make the most of them, you have to get the document created by an attorney. A family law professional will know exactly how to personalize the document and tailor it to the specific needs of the couple. Keep in mind that a postnuptial agreement is a practical tool that can prove beneficial in a few situations other than getting a divorce. Studies show that financial problems and arguing about money rank among the most common causes of marriage problems. Couples that sign prenups or postnups have peace of mind that the financial relationship between the two is clearly defined. Thus, such couples are less likely to argue over money and experience relationship stress. A court in Arizona could refuse enforcing a postnup in certain circumstances. Such an agreement should be fair and equitable in order to be upheld in court. In addition, a postnup should be free from fraud and both parties will have to enter the agreement on their own free will. If there’s any sign that someone was coerced to sign the agreement, it will not be enforceable. A person should also be fully informed about the scope of the postnup and the manner in which it’s going to affect their assets and property. If all of these elements are present, the court will allow a couple to split their assets according to the terms of the agreement. Both spouses, however, have the right to challenge the agreement. In such instances, the other party will have to prove that the postnup is fair and equitable. Having a great family law attorney representing you in such circumstances will be of key importance for establishing the validity of the agreement. Are Prenups and Postnups Different? 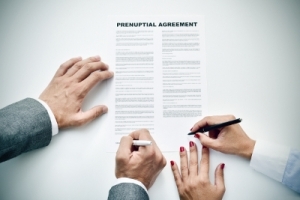 Is there any difference between a prenuptial and a postnuptial agreement? Which one should you get to enjoy peace of mind? The question is very common and the answer is that both of these documents can be used to protect assets. Establishing a financial framework before getting married is a smart decision. Many people, however, refrain from signing a prenup. They’re young, they’re in love and dealing with finances is the last thing on their mind. If you’re one of these people, you still have the chance to address property issues through the creation of a postnup. People who are not married yet and who are thinking about a prenup or a postnup should go with the first. There’s a simple reason why. If you cannot reach agreement about financial issues before tying the knot, you may reconsider the prospects of getting married. Once you’re married, however, there’s nothing to do if your partner refuses dealing with and signing a postnup. While postnuptial agreements are still relatively new, they are completely legal and enforceable when drafted correctly. Don’t hesitate suggesting this possibility to your spouse, if you believe that it will address problematic property/asset issues, enabling the two of you to focus on the relationship. 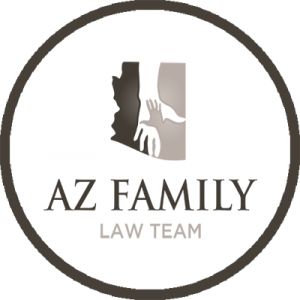 Click here for information on a prenuptial agreement in Arizona.